The popular Hulu Plus streaming service is some way behind rival netflix in membership numbers, and many people put that down to the insistence by the company to run ads alongside a monthly subscription cost for members. Forssell continued, “I’m a big believer in choice… I believe over time we should introduce an ad-free service.” He does however defend the existing advertising that exists in Hulu Plus service which also costs $7.99 monthly,saying that the extra revenue buys content for the video service. The Hulu Plus service originally charged a higher monthly fee of $9.99 monthly when it launched, that was quickly dropped to $7.99 monthly to compete with Netflix. Hulu Plus has ads on almost all of its content, though paying subscribers see fewer ads than those who just watch Hulu for free. Competitors such as Netflix and Amazon also offer unlimited streaming for the same price structure but with no ads. Currently Hulu Plus have less ads than is shown on the free Hulu.com service, which is available on PC’s. So what makes Forssell think that consumers will pay extra for an ad free Hulu? It could be that the networks supplying content will delay catch-up streaming of the latest shows on any free service. One of Hulu’s providers, Disney owned Fox makes new episodes available on Hulu Plus almost immediately after airing, but delays making content available elsewhere online until around 8 days later. So exclusive availability of the latest shows and seasons, which Amazon and Netflix cannot compete with, combined with an ad free experience will (Hulu hope) convince subscribers to pay the $10 (or more) per month. 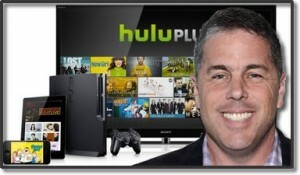 Hulu Plus Drops Price, But Is It Enough?